watch this short video which explains why you should hire me as your professional BridesMAID. You might think that your best friend is desperate to be your bridesmaid but sometimes that's just not the case. We all have mega busy lives nowadays and most of your friends are probably juggling relationships, careers, social lives and family. As your friend, she will defiantly act enthusiastically when you ask her to be your bridesmaid but inside she could be falloff dread. This is why hiring a Professional Bridesmaid, it means I'll be completely committed to you and all the stress of dealing with a wedding and hen do can fall on me. Which also means your friends and fellow bridesmaids can relax and just enjoy this special time with you. As a Professional Bridesmaid you will constantly have my full attention. It is literally my job to help you pick the bridesmaid dressed, plan the hen do, holding up the layers of chiffon when you need to use the toilet, being the first on the dance floor and so much more. Remember you have hired me, so it means I'll do everything to make sure I do the job right. 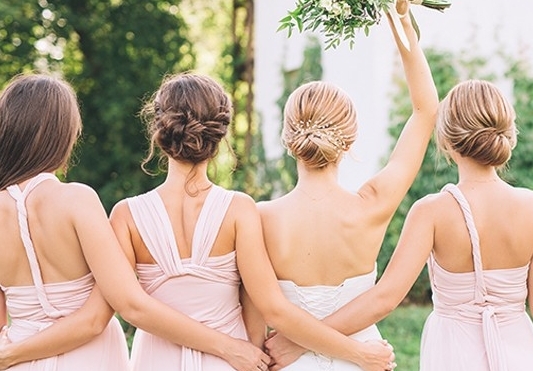 Not all friends are bridesmaid material (Im not trying to be mean, but it's true!) you may ave a friend who you can rely on to arrange an amazing hen, but is she so reliable when it comes to making sure your train isn't ruffled in photos, or picking up the church flowers on time? Planning a wedding is stressful enough without a flaky or unorganised bridesmaid to deal with. A professional bridesmaid is there to make sure all these details are attended to at all times. Now that would be a load off your mind. "The Secret life of an Undercover Bridesmaid"
"Life as a Professional Bridesmaid"
"What's it's like working as a Professional Bridesmaid"
"The life of a Professional Bridesmaid"
"Professional Bridesmaid gives Meghan Markle advice"
"Undercover Bridesmaid helps strangers plan their wedding"
"Unusual wedding suppliers you never knew you needed"
"Would you hire a Professional Bridesmaid for your wedding?" 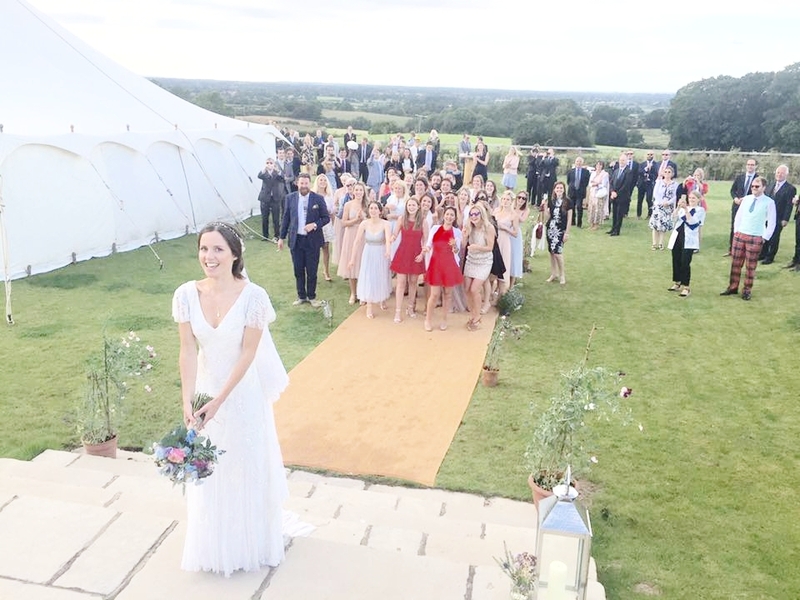 I set up "The Undercover Bridesmaid" in 2016 after attending numerous weddings and realising that many of the Brides were so stressed out that they just didn't enjoy their big day as much as they should have. 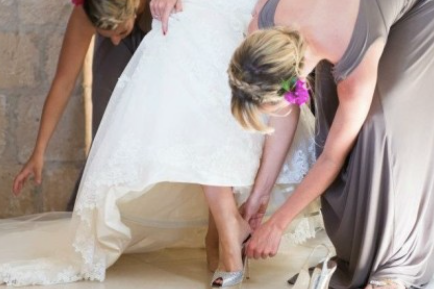 Hence the need for a Professional Bridesmaid! Although Brides often have bridesmaids at their sides, there is not a single person on the day who is completely dedicated to the bride. While wedding planners focus on vendors and venues, a professional bridesmaid does whatever the bride needs her to do. Since setting up The Undercover Bridesmaid I have had lots of request from all over the UK to act as Bride's 'Undercover Bridesmaid' and I am now booked for numerous weddings next year. As well as being an Undercover Bridesmaid, I am a Romance Expert, TV Presenter and Journalist. I run www.theoneromance.com which helps plan romantic events such as marriage proposals, wedding anniversares and dates, and regularly write for Brides magazine. I've been told I'm an expert when it comes to anything and everything wedding related and I'm determined to make sure that your wedding day is as stress free and fun as possible. What is a Professional Bridesmaid? Why hire a Professional bridesmaid?